Ramble Around Ravensden at Ravensden Walking RouteA Ramble around Ravensden is for people to learn about local history, enjoy wildlife and keep fit without having to go to the gym. Start Point: This is a circular walk that starts at the main entrance to Mowsbury Park on Wentworth Drive, Bedford. 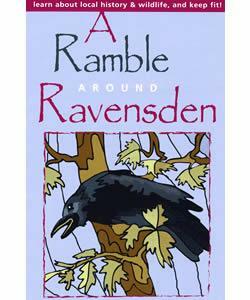 A Ramble around Ravensden is for people to learn about local history, enjoy wildlife and keep fit without having to go to the gym. How to get there by car/parking: Mowsbury Park is situated off Wentworth Drive which can be accessed either from Kimbolton Road or Goldington Road in Bedford.